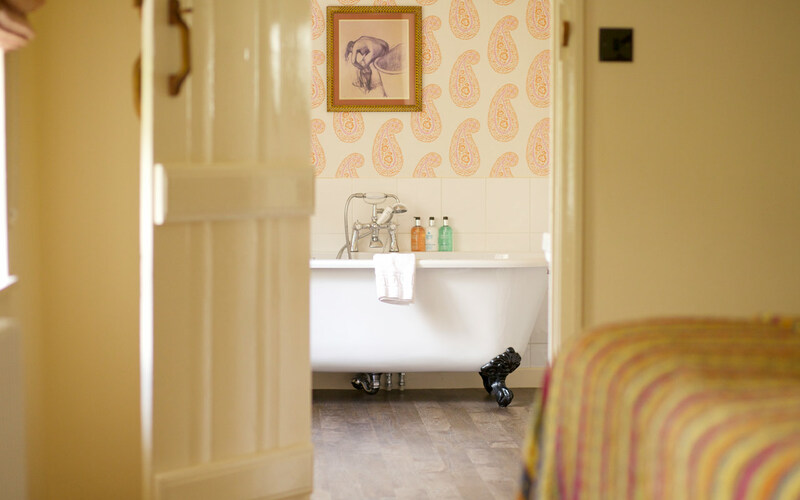 Arrive and relax, that’s all you need to do when you come to stay at The Bay Tree and let us do the rest. Forget about everything else and live for the moment, whether you’re here for a wedding or a weekend away, the experience now is the only one that matters. Our beautiful hotel is every inch your humble country abode in a location that allows you to admire the surrounding beauty while sinking into its tranquil seclusion unnoticed. 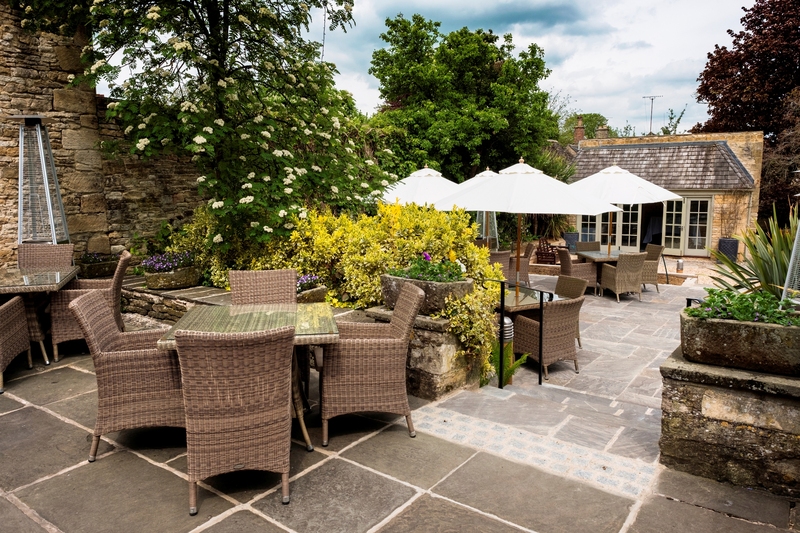 Nestled away on a quiet side street in the historic town of Burford, The Bay Tree is the perfect hideaway to escape the buzz of everyday life – nobody need know you’re here. Walk through the natural archway of blossoming wisteria that drapes decoratively over the famous honey-coloured stone and let us welcome you. Sink into an armchair as we bring you some refreshments. You’re here to stay and we want you to enjoy it from beginning to end. We have a history, everybody does, and we have plenty on show to inspire the picture in your mind of how our story first began. 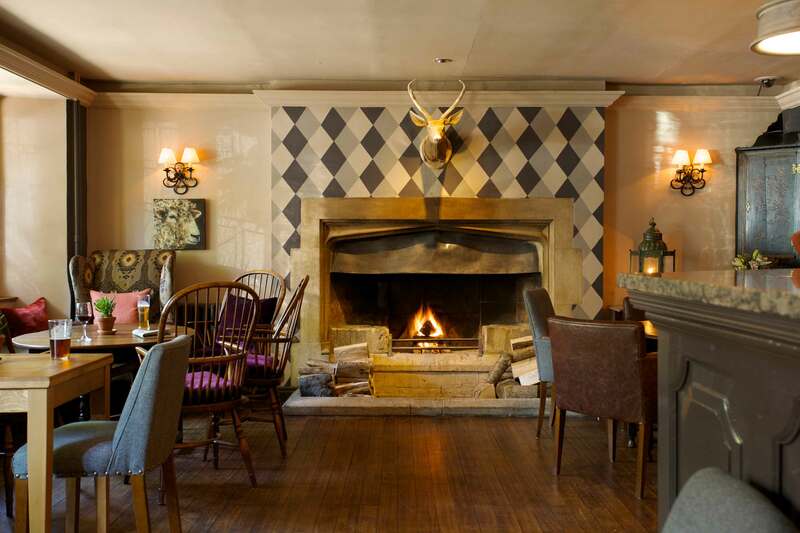 The flagstone floors, big open fireplaces, and exposed beams have been restored to their former glory to honour the charming character of the building that still stands proud today. However, as much as we cherish the past, we also live for the present. 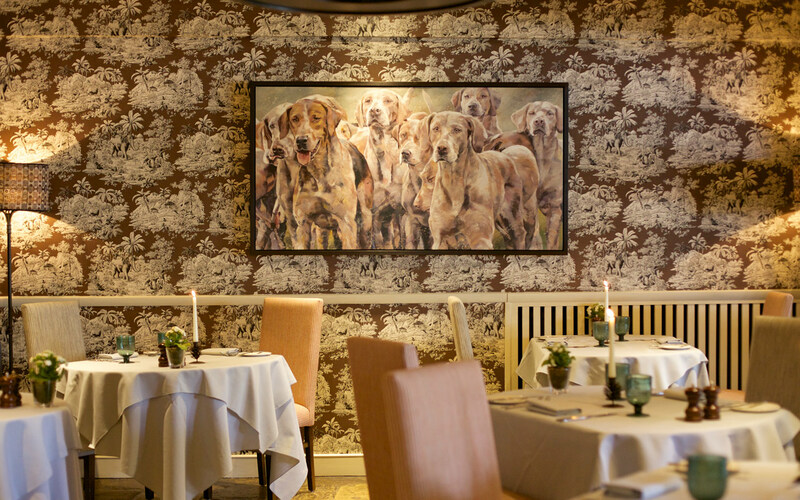 We’re all character and charm, with lots of contemporary furnishings that helps to form our unique style throughout – admire the artwork on our walls and you’ll soon get the picture. 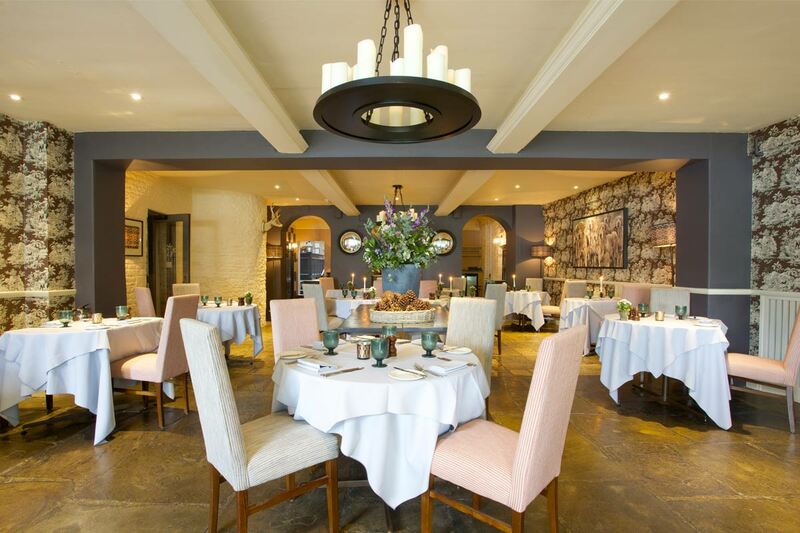 You’re almost there – pick a room, book a table and come on in, we look forward to welcoming you. Our rooms are lovely, all 21 one of them. 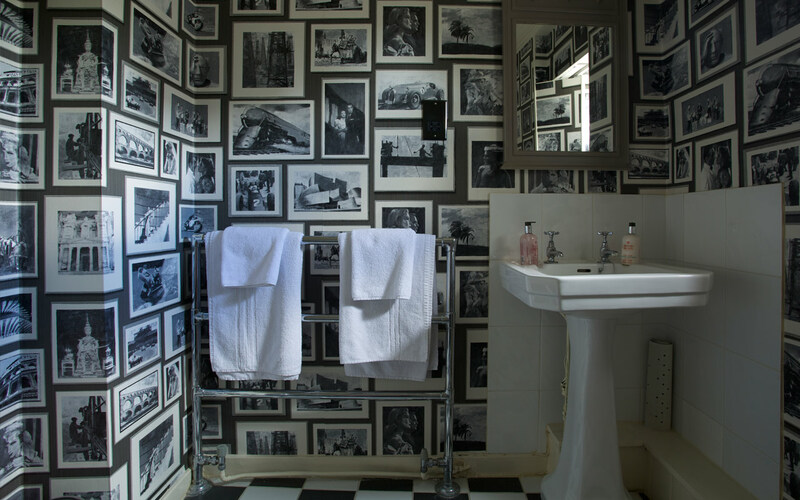 We don’t have a favourite; it’s hard to pick one when no two are the same, each one filled with individual style and charm. 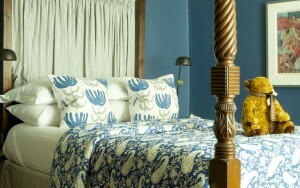 All individually designed, every room is different, even down to the wallpaper. Imagine big beds with generous mattresses, feature fireplaces surrounded by deep and cosy armchairs and a few little luxuries we know you love, like a Nespresso machine, robes and indulgent Molton Brown toiletries being just one. 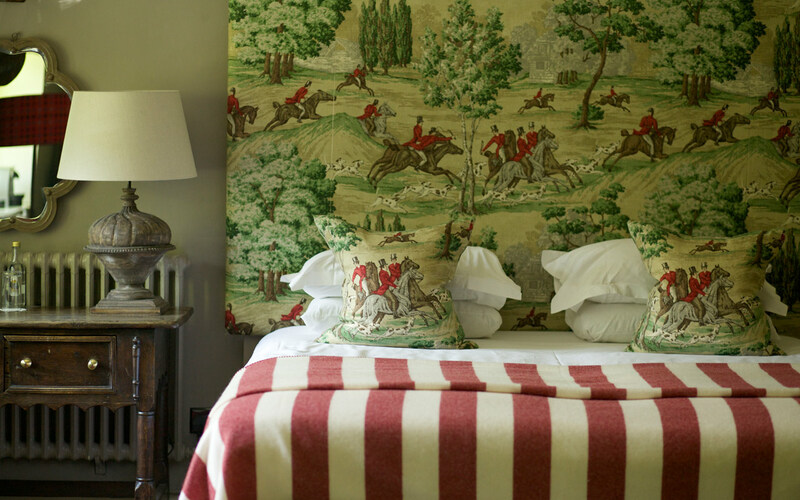 Picture florals, checks, tweeds, hunting themed fabrics – we’ve gone classic Cotswold country style with a few contemporary twists. 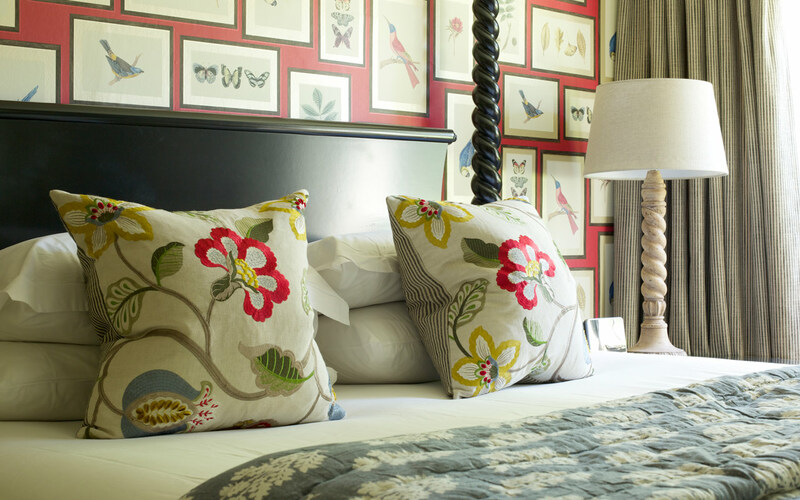 Our vibrant style is both homely and comfortable – we want you to relax as much as possible during your stay. 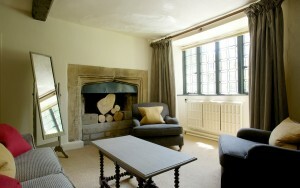 Feel relaxed and revitalised, the big windows will help with that and allow you to admire a good view at the same time! We’ve already given too much away. 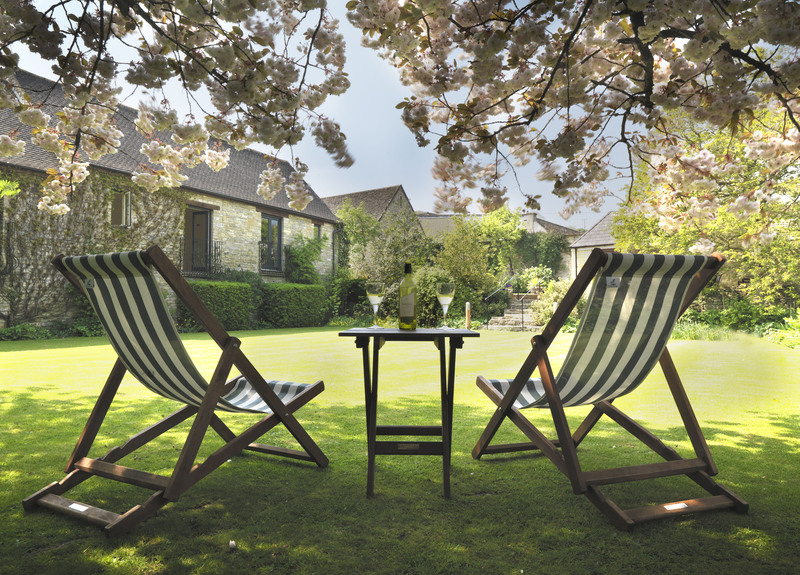 Come and discover more for yourself on a relaxing stay at The Bay Tree in Burford. Our Good bedrooms are charming and cosy, with subtle lighting and a Teddy Bear on the bed to greet you. 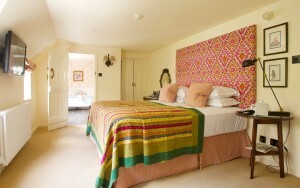 Also available for double occupancy. 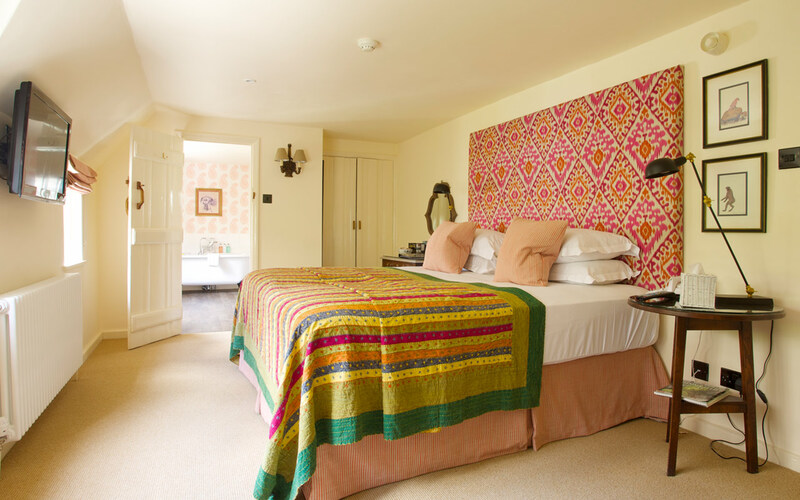 Our Good Double and Twin bedrooms are a comfortable Cotswolds haven with elegant furnishings and homely touches to enhance your enjoyment during your stay.- Also available for single occupancy. 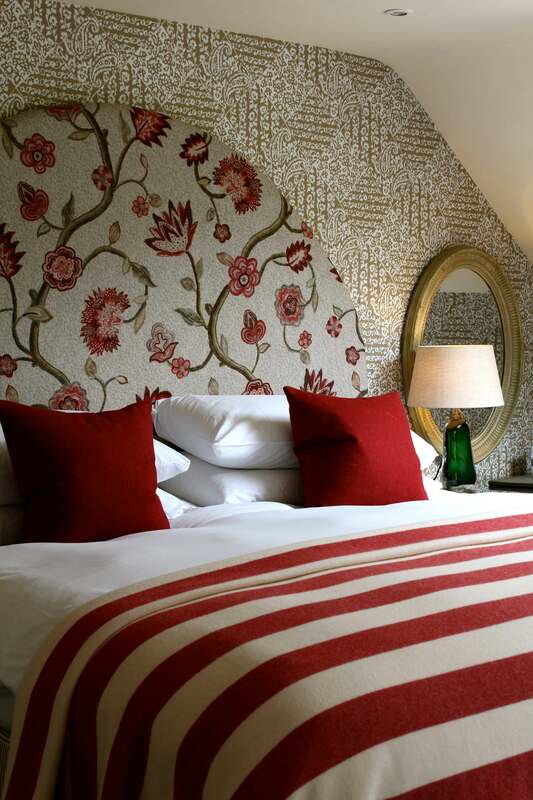 Spacious double bedrooms, fresh and light with French doors to a Juliet balcony overlooking the hotel gardens. Adjacent to the main hotel and single storey. 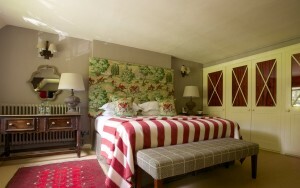 Spacious double or twin bedrooms with French doors to a Juliet balcony overlooking the hotel gardens. A special feature is a separate seating area. Adjacent to the main hotel and single storey. Large and spacious rooms with a lounge area. Beautifully decorated with rich colours and antique furniture. 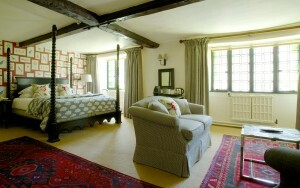 All rooms have sumptuous big beds and Nespresso coffee machines. This spacious bedroom boasts a separate lounge area with traditional flag stone floor, a super king-size bed and an open log fire. 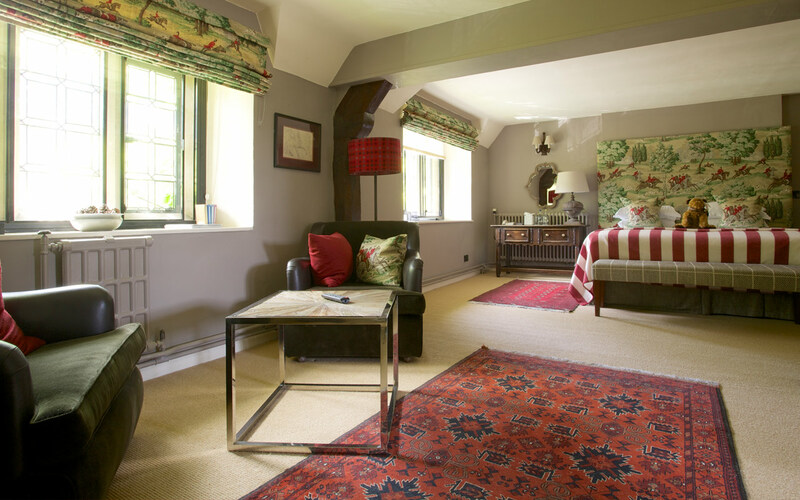 Our most spacious bedroom at The Bay Tree Hotel boasts a lounge room with sofa bed, super king size bed, realistic log burner fire and spa bath. Outlined below is some information, which we hope will ensure you enjoy your visit to The Bay Tree Hotel, regardless of whether your life is affected by a medical condition, disability, impairment or some specific learning difficulty. Our reception staff will be able to advise you about room facilities and access to bedrooms and public areas of the hotel. If you need a ground floor room, or a room that’s specially adapted with grab rails, please request this at the time of booking. If you require any assistance or further information, please phone 01993 822 791. 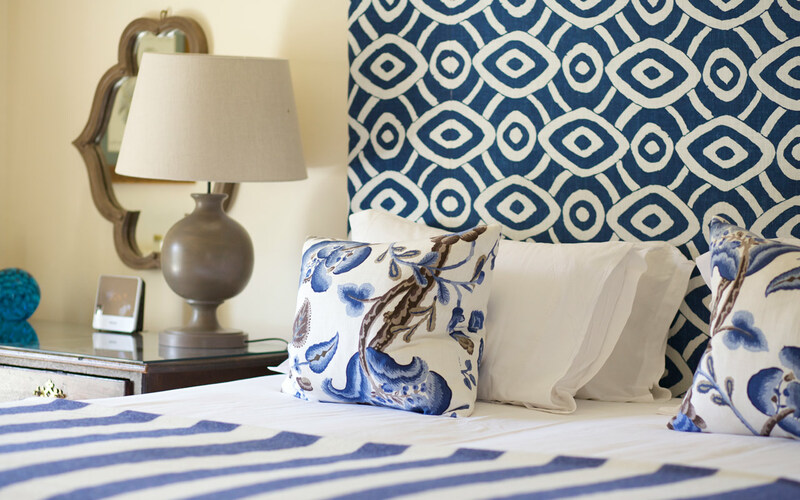 We want to make your stay with us as comfortable as possible. 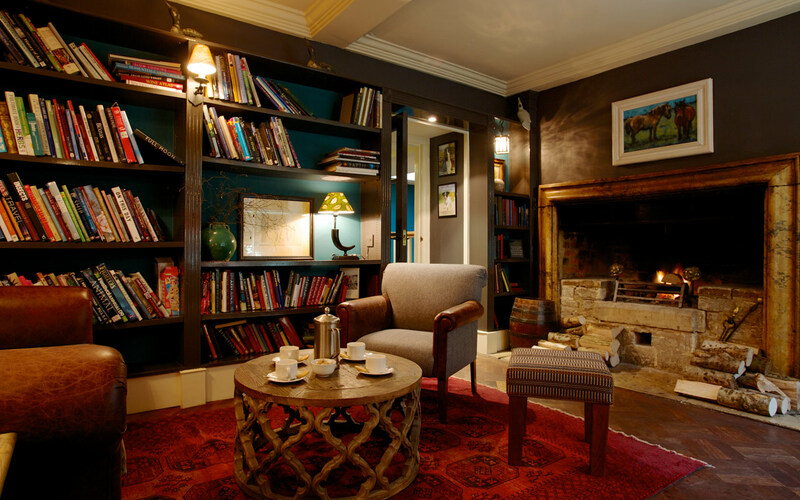 So when booking with The Bay Tree directly, we will ensure that you receive the best rates available compared to those offered by any other booking agency or website. 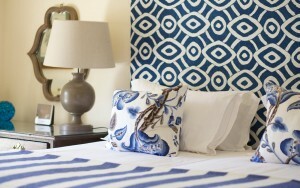 At The Bay Tree, we opt for the simple life, why make things difficult? So we’ve made sure our booking process is easy, quick and with minimal hassle entailed. Simply call one of our friendly staff to check availability and book a room, or book right now through our website with no additional booking charge. Booking with us is easy – you can check availability on our website and book right away. Alternatively, just give us a call on 01993 822791.